It's Chelsea: 5 things to do on a night in. Winter is coming... 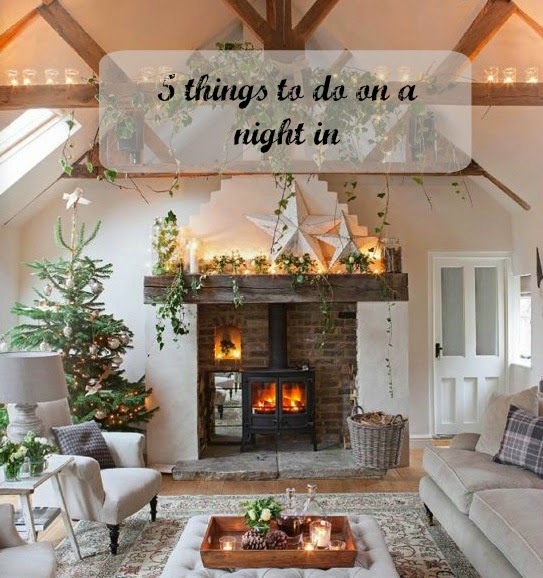 Which means you can look forward to cosy nights in (inbetween parties of course). I really cherish having nights in as it doesn't happen that often between now and the end of December so I thought I'd share what I get up to on my nights in. 1. Have a bubble bath. I love going to Lush to buy something I can look forward to use in the bath and just have a huge pamper session. 2. Make a hot chocolate. With whipped cream, marshmallows and sprinkles - the whole shebang! 3. Turn off your phone. It's nice to take a break from calls/texts just for a few hours as we spend so much of the day on it. Well, I do anyway. iPhones are addictive. 4. Watch your favourite TV shows. My guilty pleasures include TOWIE and Made in Chelsea.. Don't judge me for watching trashy TV! I'm also loving The Apprentice at the moment. Pretty Little Liars is also a great one to watch if you're into slightly thriller but also a girly TV show. 5. Catch up on YouTube videos and Blog posts. I find that a lot of my inspiration for my blog comes from reading other blogs that give me ideas. I hope you've found this interesting! What do you usually do on your night ins?